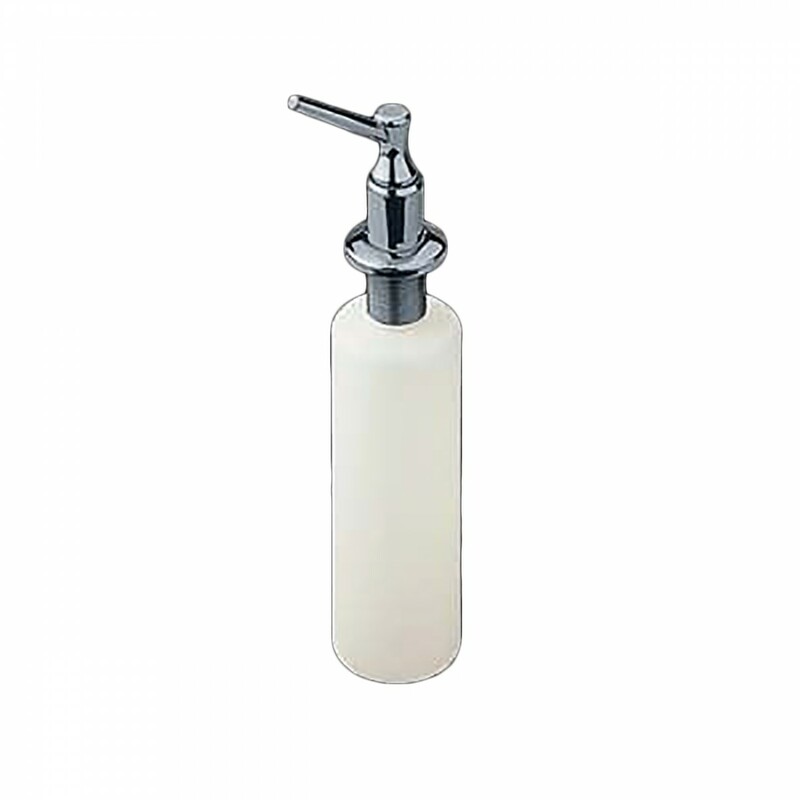 Holds up to 12 fluid ounces of liquid soap? Features a chrome plated soap dispenser? 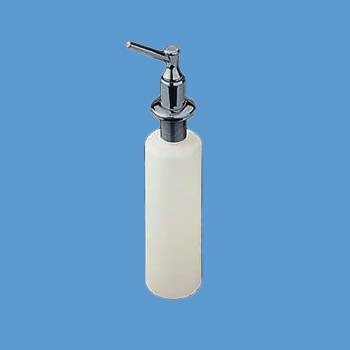 Easy fill soap dispenser holds up to 12 fluid ounces. This bottle has a total height of 10", 1 1/4" threads for mounting. The bottle alone is 6 1/4" tall.